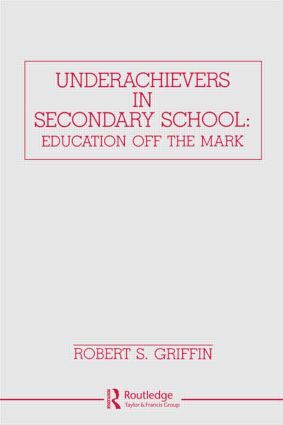 "…the thoroughness with which the content is covered will provide useful information for almost anyone with an interest in underachieving students ….extremely valuable for people interested in assisting underachievers; and has more to say about underachievers than any single title that I have recently encountered." "An excellent book dealing with the question of what can be done about the 30% of our students with potential who slide along…. Griffin's work, which is humanistic and personal in style, is comprehensive and is supported by impressive chapter bibliographics. Recommended as a library resource for teachers, principals, and guidance counselors." Contents: Introduction. The Nature of Underachievement. A Perspective on Achievement. An Exploration of "Studenting." An Exploration of Teaching. Curriculum for Underachievers. The School Context. A Student Achievement Construct.